Is a hosted fishing trip right for you? CLICK HERE TO FIND OUT. Gink and Gasoline hosted fishing trips are a great way to make new friends and up your game on the water. I put together several trips a year to fish with G&G readers and share some of the best water I know. 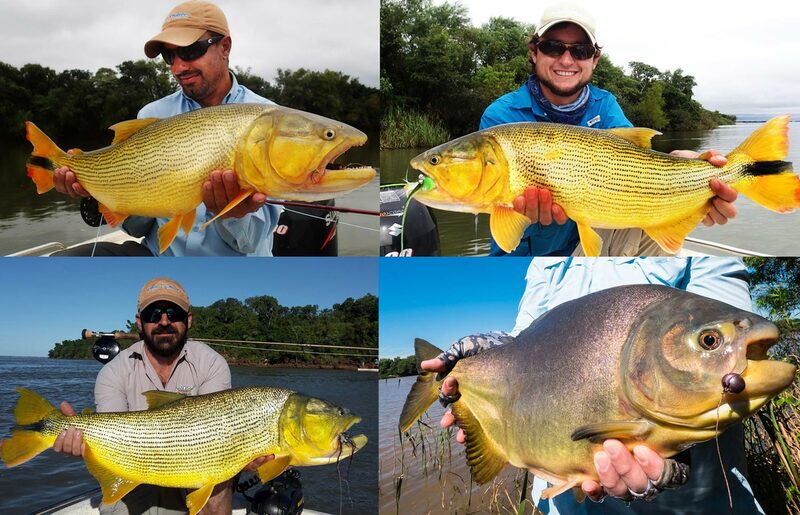 They are more than great fishing trips, they are meetings of fun, like-minded anglers. 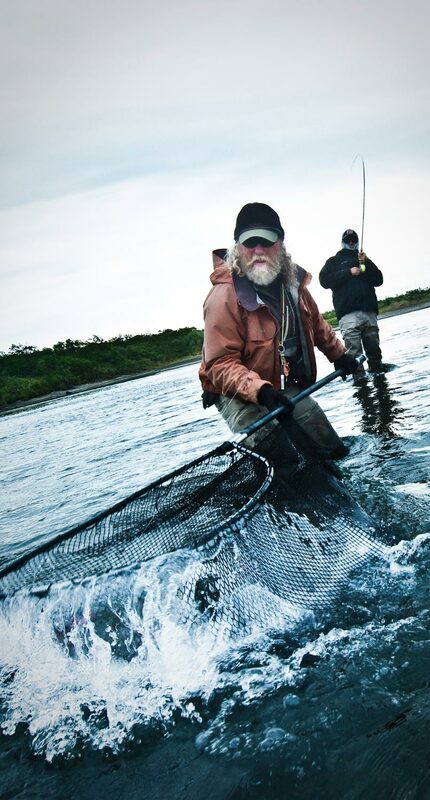 A chance to share information, stories and our passion for fly fishing. I host these trips myself and am there to help you have the best trip possible. There’s no catch, no hidden fees. You pay the same amount you’d pay to fish these location any day of the year. Want to know more about how the hosted trip program works? You can find all the details HERE. 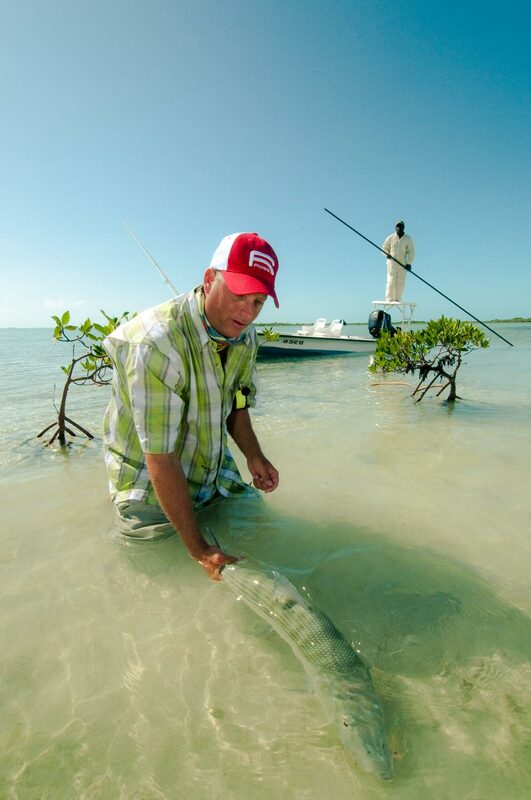 The next two trips on the calendar are the famous South Andros Bonefish School and Deschutes Steelhead Camps. 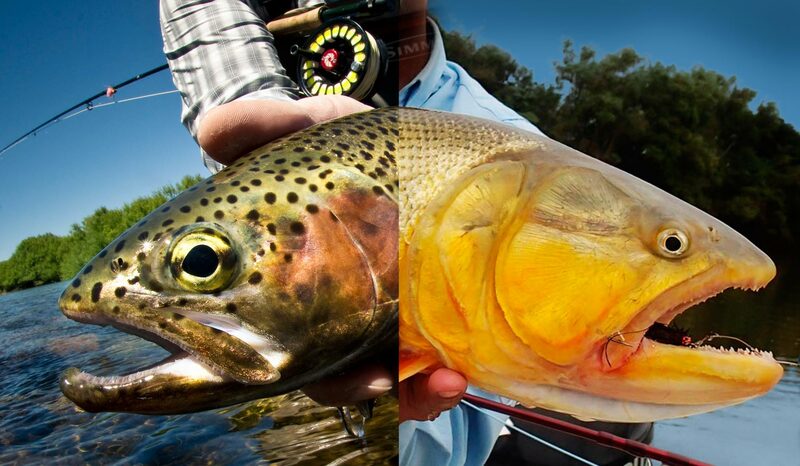 These are two of our most popular trips with anglers returning year after year. Don’t wait. Shoot me an email at hookups@ginkandgasoline.com for more info or to reserve your spot. I’m happy to help any way I can. It’s my job to put you on fish. Shoot me an email to hookups@ginkandgasoline.com for more info or to reserve your spot. 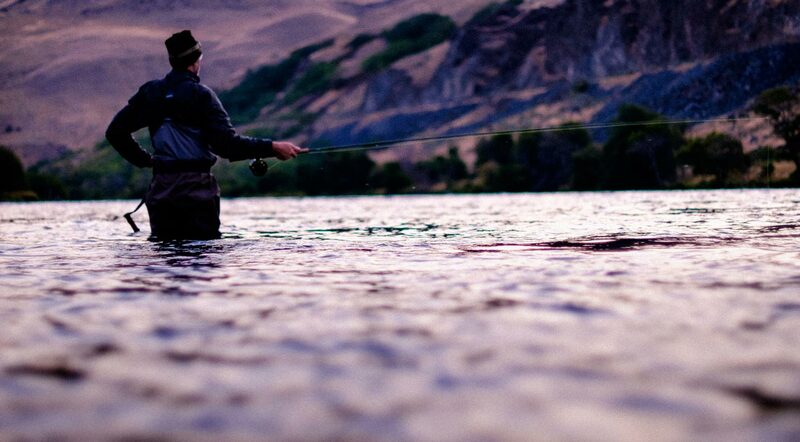 The Deschutes Steelhead Camp, operated by Jeff Hickman’s Deschutes Steelhead Adventures, is one of our most popular trips and many anglers return year after year. In order to accommodate more anglers we are excited to be extending this year’s trip with an additional group. 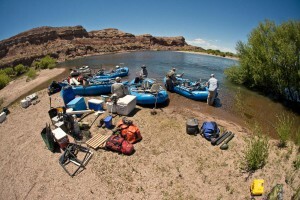 The trip is broken into 2 groups fishing Sept 9-12, and Sept 12-15. You could choose to join us for 3, 6 or all 9 days. 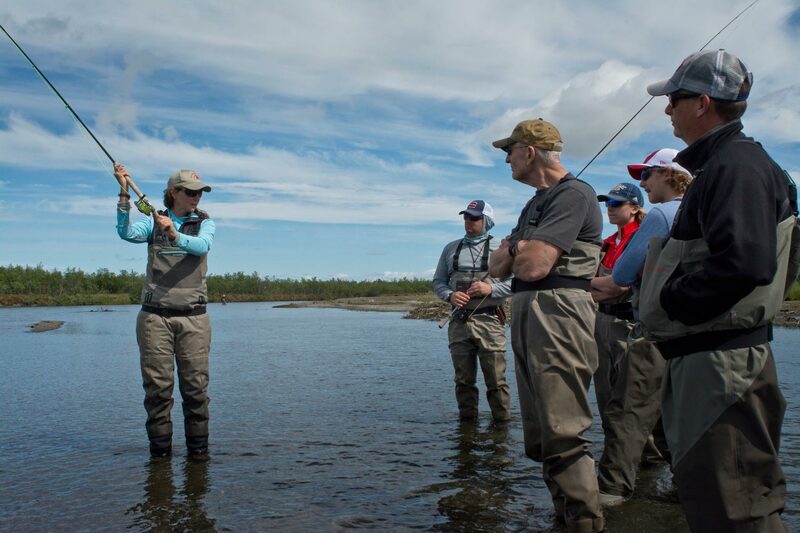 The cost for each 3 day session is $2200 and includes guided fishing, instruction, lodging and chef-prepared meals. 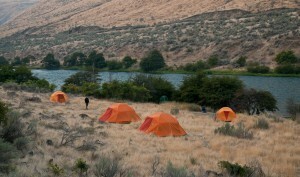 The Deschutes steelhead camp is a blast. 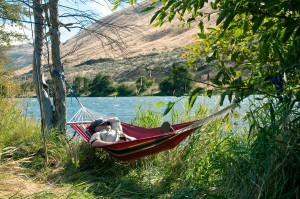 Jeff’s operations, both here in the states and at his lodge in BC, have a fun mellow vibe. Just good times and good fishing, no attitude or pressure. 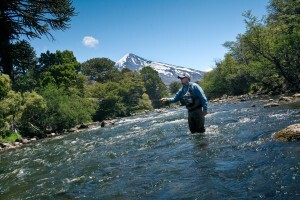 The Deschutes is a beautiful river and has a fantastic steelhead run. We fish the lower river. The Deschutes is a major cold water tributary of the mid-Columbia, so steelhead bound for all of the rivers of the upper system stray into the lower Deschutes to take advantage of the cool oxygen rich water. 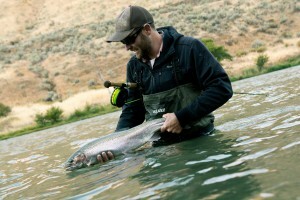 You have a chance to catch steelhead that are headed for Idaho there. The Deschutes is one of the best rivers anywhere to catch a steelhead on a floating line. 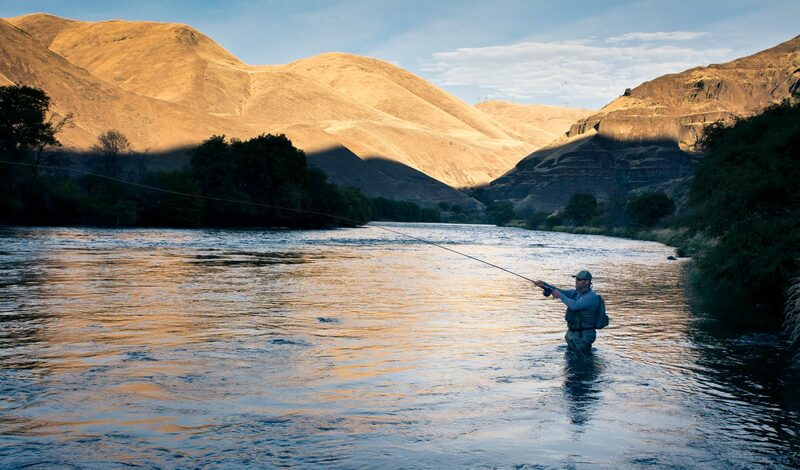 Casting a dry line is a real pleasure, but when a big steelhead rockets up through eight feet of fast water to eat a small traditional fly, it’s anything but relaxing. The steep canyon walls offer us plenty of shaded water through the day to take advantage of the dry line bite, and even wake dry flies. It’s super fun fishing! We run up river in jet boats to the campsite and use that as our base. There are only a few outfitters licensed to run jet boats on the river. The jets give us the ability to access fresh water any time we like, which is huge. After we get settled in at camp and have a bite to eat, we hit the river and fish until dark. The next two days we start fishing before first light and fish until lunch. We return to camp for a hot lunch and a big nap, then head back out in the afternoon as the shadows fall on the river and fish until dark. Then we have a big dinner (the food is awesome) maybe a drink or two, and hit the sack. The last day we fish until lunch and head back to the boat ramp. Jeff and his crew set the camp in advance. You arrive to a big stand-up tent with cots and sleeping pads. All you need to bring is a sleeping bag and pillow. There is a screened dining tent, a tent with a camp toilet and a shower tent. There is electricity from a bank of solar cells and batteries. It’s ridiculously nice. There are also ample public composting toilets along the river if you prefer those. The river is beautiful and the stars at night are amazing. You can see the milky way clear as a bell. The water is beautiful. There are great steelhead runs everywhere you look and dramatic rapids. It’s fishing of course, so it’s dangerous to make promises, but it has always treated us right. 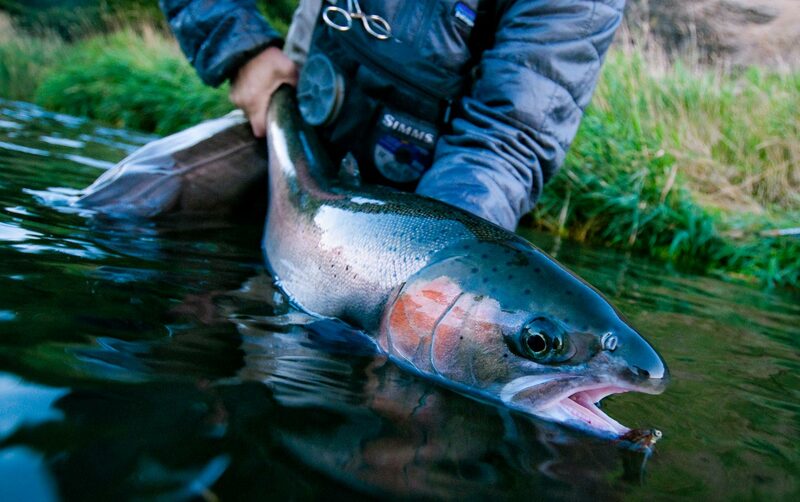 We often get into fish within a couple of hours and there aren’t many steelhead rivers you can say that about. 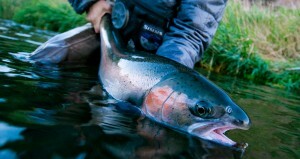 It is steelheading though and it’s about the experience, not the numbers. Even one wild steelhead makes a trip you’ll never forget. We encourage beginners to join this trip. 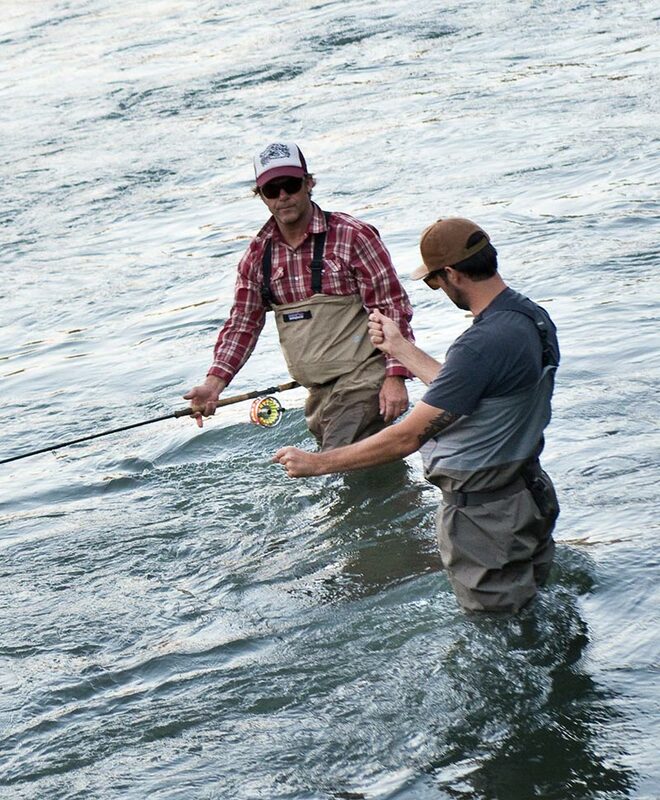 There’s no better place to learn than the Deschutes and no better folks to learn from than Jeff and his guides. They say there are no guarantees in fishing but I feel confident in promising this: you will leave with new friends and a shared passion for steelhead. This trip is a real highlight in my fishing season. I hope you will be able to join me. Email HOOKUPS@GINKANDGASOLINE.COM for more info or to reserve a spot. The Bonefish School on South Andros is our most popular trip. 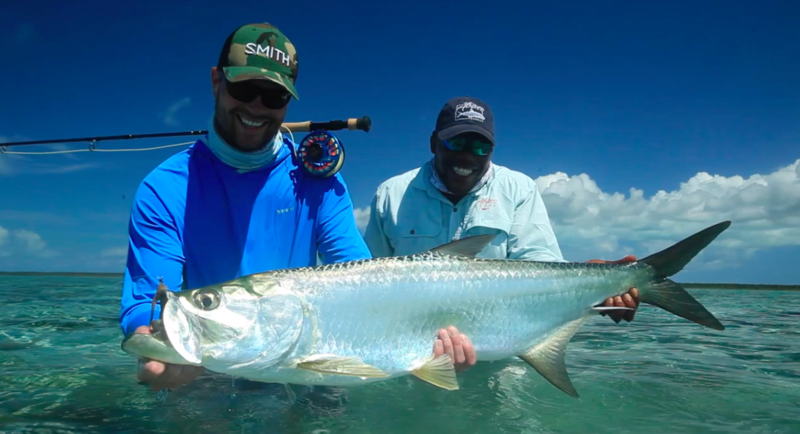 It’s hands down the best way to shorten the learning curve for saltwater fly fishing and build the skills and good habits you need to be a successful and self-sufficient saltwater angler. Many anglers return year after year to enjoy the camaraderie, the laid-back atmosphere and the amazing fishing on South Andros. 2019 season I will be hosting 3 weeks at the famous Bair’s Lodge. 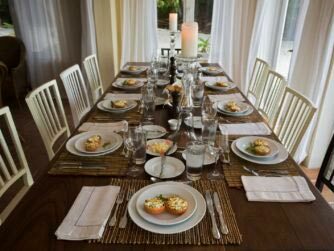 Part of the Nervous Waters family, Bair’s offers a relaxed, unpretentious vibe with personal service and amenities unmatched on the island. Delicious food, an exceptional guide staff, a fleet of brand new Maverick skiffs and an in-house fly shop are just a few of the things which set Bair’s apart. I am excited to be partnering with them to provide the best experience possible. Check out the Bair’s site; you’ll like what you see. Don’t stress, there will not be a test. The Bonefish School is as laid back as it gets. 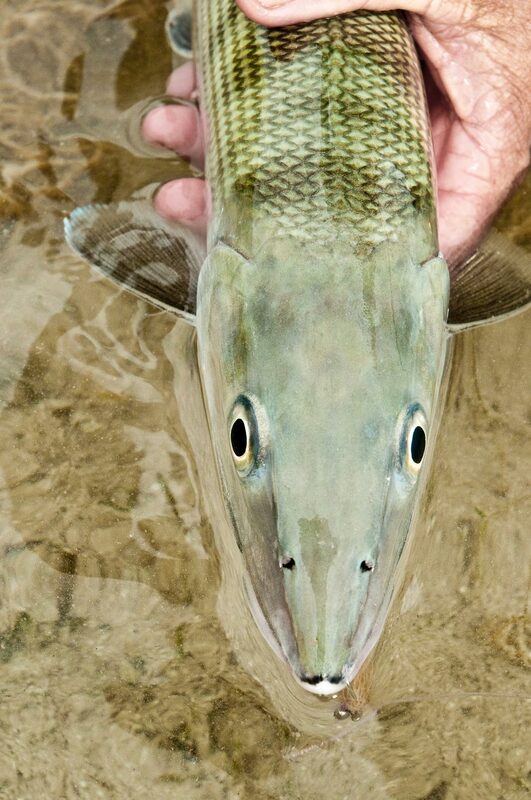 On our arrival, I offer my Bonefish 101 primer to anyone who is interested. This brief rundown is designed to prepare you for your week and get you off on the right foot. Anglers who are new to the salt always find it enlightening. Repeat offenders appreciate it as a refresher and as a great opportunity to heckle me! I will work with you to be sure that you have your gear set up for success and feel confident stepping onto the bow, whether it’s your first time or your thousandth. 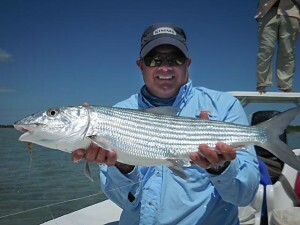 Each day you will fish with a guide who not only put you on bonefish, but reinforce the techniques needed for success. I will be available to work with you individually as needed, to answer questions, work on casting or just mix drinks. I am there to see that you have the best possible experience. You don’t need any saltwater experience to have a blast and catch plenty of fish. That simple description has proven to be true year after year. South Andros really does offer something for everyone. 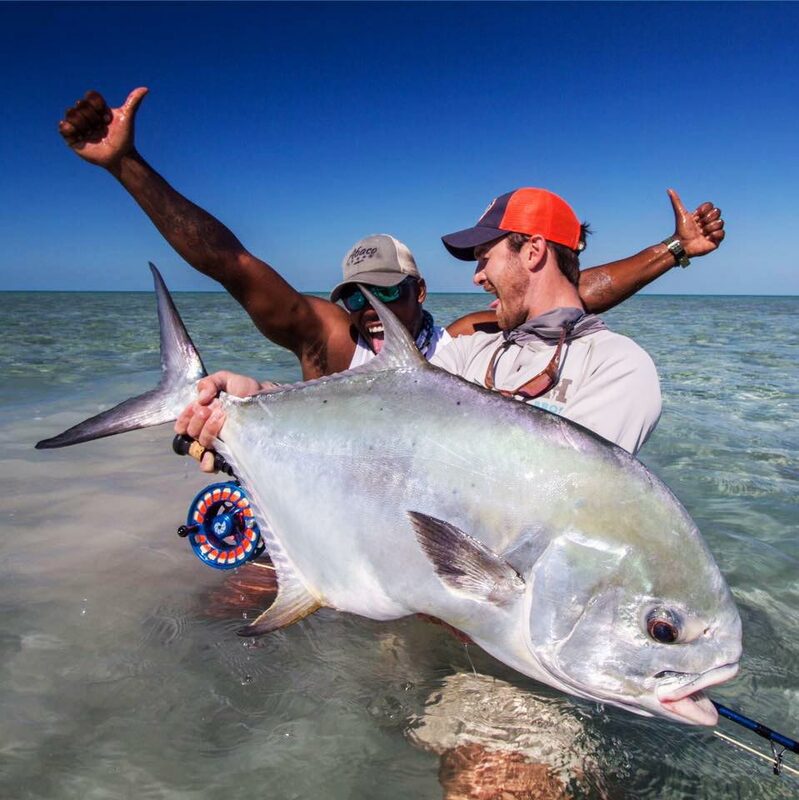 Schools of hundreds of eager bonefish, big singles and doubles, endless sand flats to wade and the world famous action of the expansive and intricate West Side. Your guide will have plenty of options to show you and you’ll seldom see another boat. 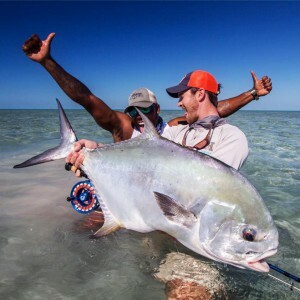 In addition to plentiful bonefish, South Andros also offers great fishing for big barracuda, shark, jacks, snapper and a host of other species, including the occasional permit or tarpon sighting. The island features the world’s highest density of blue holes and it’s always fun to see what’s in those ocean deep pools. South Andros is one of the most beautiful places you’ll ever visit. 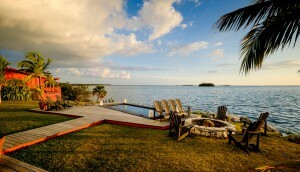 Although it is the largest island in the Bahamas, it is the least populated. The vast expanses to the south and west are extremely remote and isolated. The fish see very little pressure and when you cast a fly to one, chances are he’s never seen one before. The island and flats are dotted with ocean deep blue holes, which are a real natural wonder and marine life is everywhere. The folks there are warm and authentic. 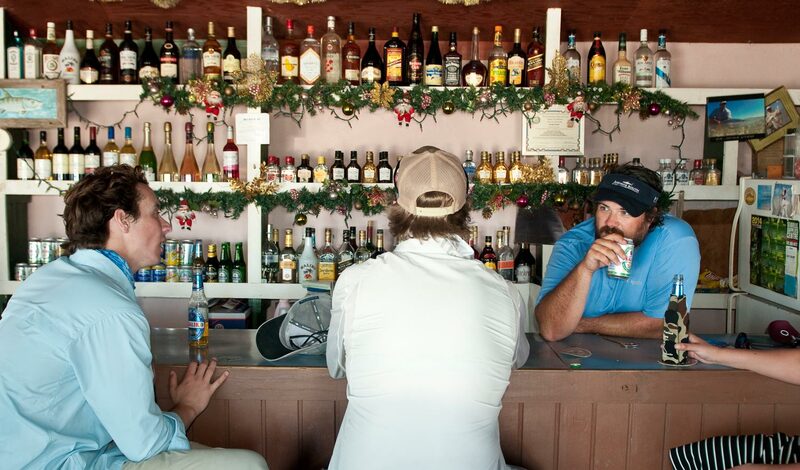 You’ll never meet a stranger on South Andros. This island is the real Bahamas. It’s easy to imagine the days when pirate ships moored off shore to bury treasure and locals rowed handmade skiffs into the Tongue of the Ocean for weeks at a time. It’s my favorite place on earth and I look forward to sharing it with you. South Andros is easy to reach by two options. You can fly into the Congo Town airport via Nassau on Western Air or via Fort Lauderdale on Watermakers Air. Your shuttle to and from the airport is covered in your trip. The basic gear I recommend for bonefishing is an 8-weight fly rod with a good large arbor reel and tropical line. If you don’t have that kind of setup, no worries. The lodge offers loaner gear at no additional charge. You will need good protective sun clothing, sunscreen and a pair of wading shoes. I can help you with a packing list and any specifics that arise. The folks at Bair’s are as excited to be hosting the G&G community as we are to be there and they are making us a pretty sweet exclusive offer. 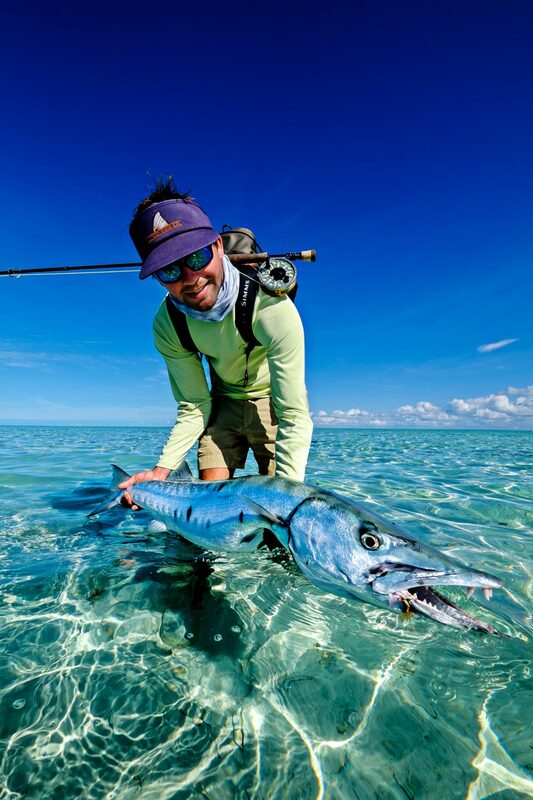 This 6-day, 7-night trip, which includes everything but your travel to the island and gratuities normally costs $5975 per angler, but when you join us for the Bonefish School, you pay $3975. That’s a huge savings! That’s a phenomenal value for one of the best and most famous bonefishing lodges anywhere. This pricing is only available through Gink and Gasoline, so don’t wait. Whether your goal is to learn the saltwater game, make new friends, see one of the wildest and most productive fisheries anywhere, or just get out of the snow and onto a beach, this trip is a great time. I hope you will be able to make it part of your most memorable fishing season yet. I look forward to sharing this amazing island and its flats with you. 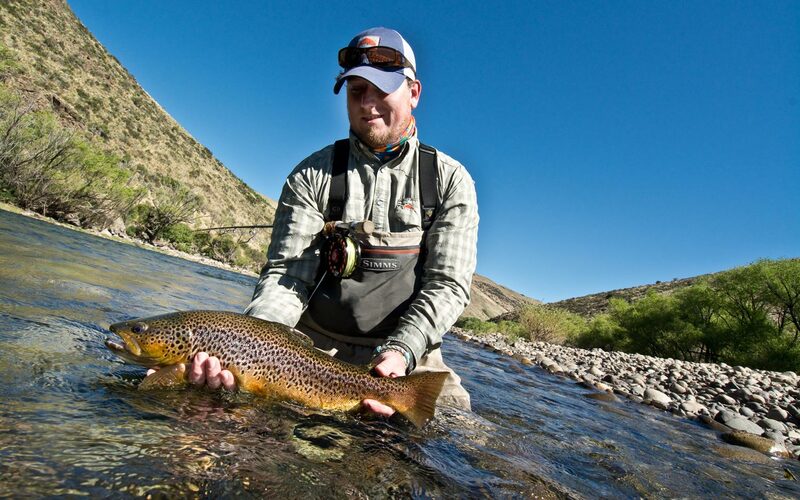 This is truly a trip-of-a-lifetime fly fishing adventure. 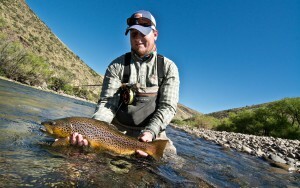 I have fished some amazing places but none offer the diversity, solitude and hospitality of Argentina. Floating the storied rivers of Patagonia, you get the sense of what it would have been like to be the first angler to trout fish the American west. 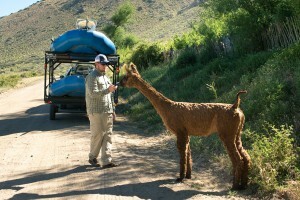 Big brown trout and rainbows crush #2 dry flies as condors soar overhead and llamas lounge on the bank. You look around but there isn’t another angler on the river. Your boat pulls into camp and you are greeted by a goat, roasting on a spit over an open fire. 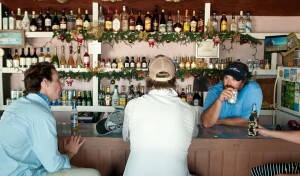 A lavish island tent camp with Christmas lights strung in the trees, a full bar and cases of Argentine wine. You spend the evening gazing at the Southern Cross hanging over the river, then drift off as your guides tell fantastic stories around the camp fire. You can’t make up this kind of stuff. The Limay is known for its big browns. 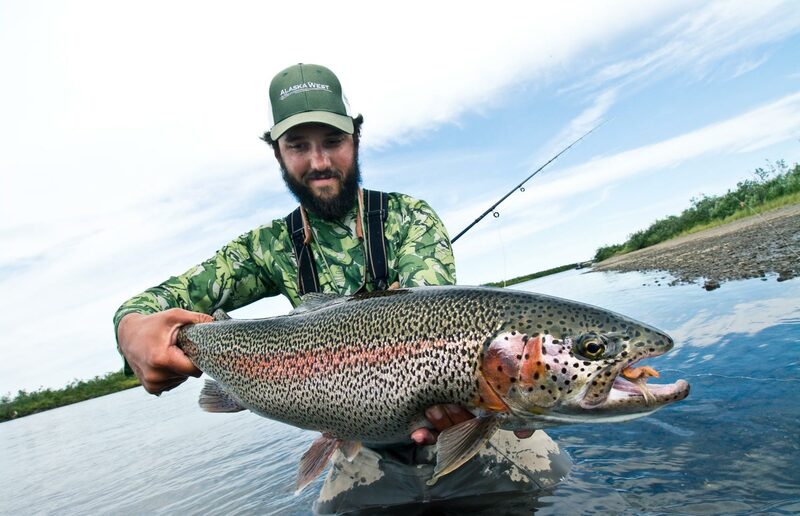 It’s very common to catch fish over 20 inches on dry flies. 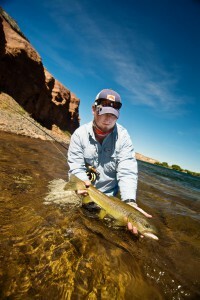 Anglers probe the depths with minnow patterns, finding brown trout in the twenty-pound range. The river flows clean and clear across beautiful dessert hills. Riffles pour into deep pools and trees shade undercut banks. If there are small trout in the river, I haven’t seen them. But that’s only the start of this trip. After 4 days floating the famous Limay “River of Monsters,” we travel to the north, to the upper Parana on the border with Paraguay. For the next four days we’ll chase viscous Golden Dorado, Pacu and Pirapita as howler monkeys taunt us from the jungle. At the Parana On The Fly Lodge we will take siesta after a hot lunch and enjoy fabulous evening meals with a view of the river. This is one of the most magical places I have ever visited. 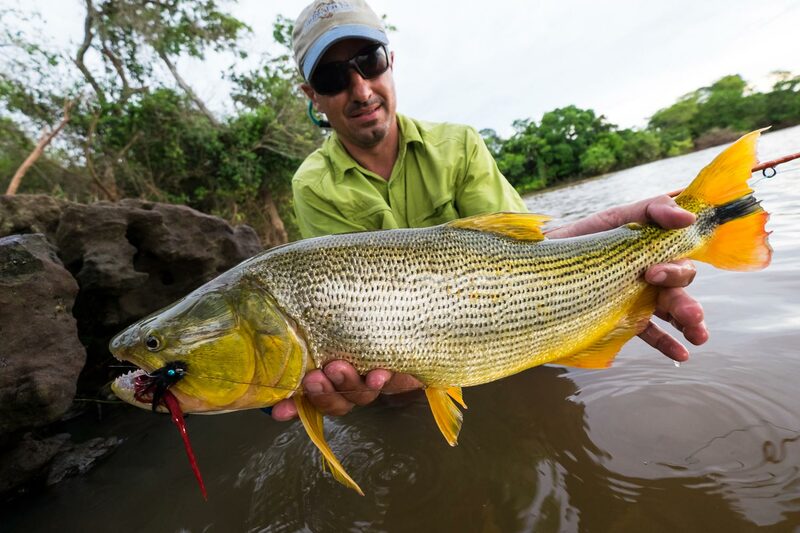 The Parana is a mighty river, the Mississippi of South America, winding through an dense jungle, by ancient cathedrals and fishing villages. The Dorado themselves are beyond compare. They are so aggressive that the first half dozen to eat my fly scare the pants off me. Ranging well past the thirty-pound mark, these apex predators are the kings of sport fish. They inhale eight-inch streamers and rat patterns. In clear water you can sight fish to them as if you were on a saltwater flat. It’s like fishing another planet. This trip is nothing if not exotic. The Argentine people are warm and hospitable. 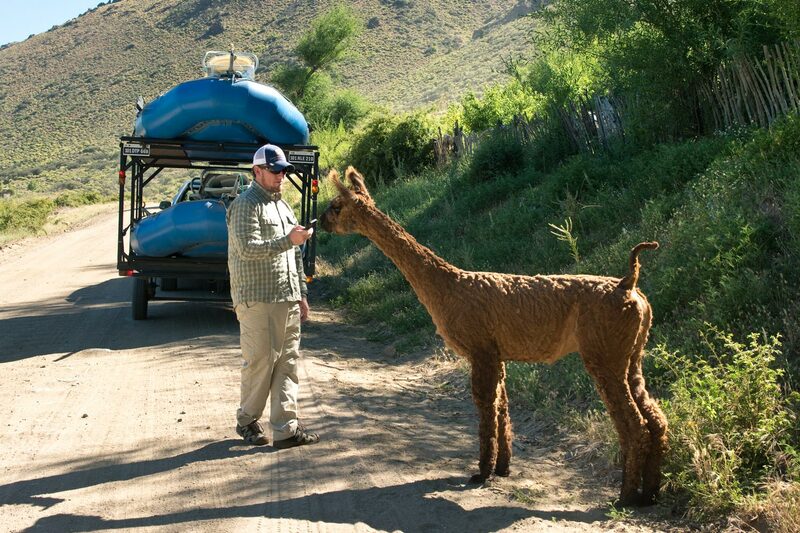 Our hosts, Andes Drifters, deliver unmatched service and personal attention. These guys do it right. You can not help but fall in love with Argentina. It is a beautiful and haunting place that stays in your heart. I hope you will be able to join us there. Not sure how hosted trips work? Click here to learn. This trip of 10 nights and 8 full fishing days has a cost of $6,400 per person. Email me at hookups@ginkandgasoline.com for more info or to reserve your spot. Check out these great videos from Andes Drifters to see the action! 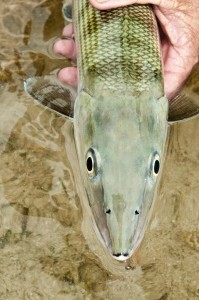 The G&G South Andros Bonefish Schools sold out almost immediately this year. If you missed out on those great trips, never fear! 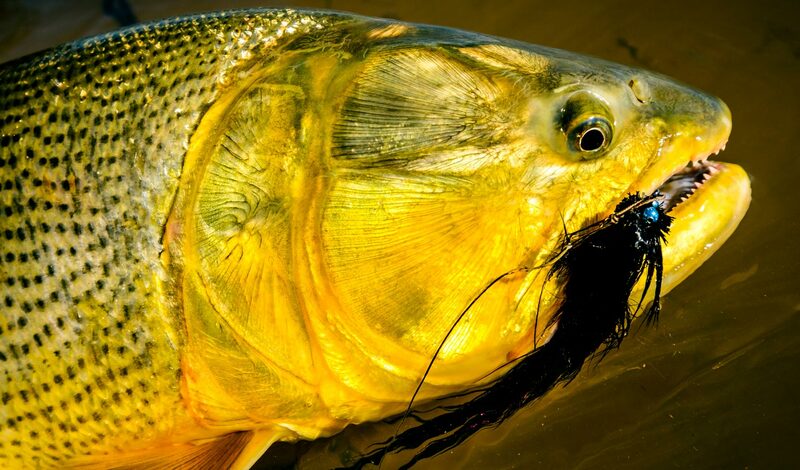 Here’s your chance for some amazing bonefishing and maybe even a permit or tarpon. 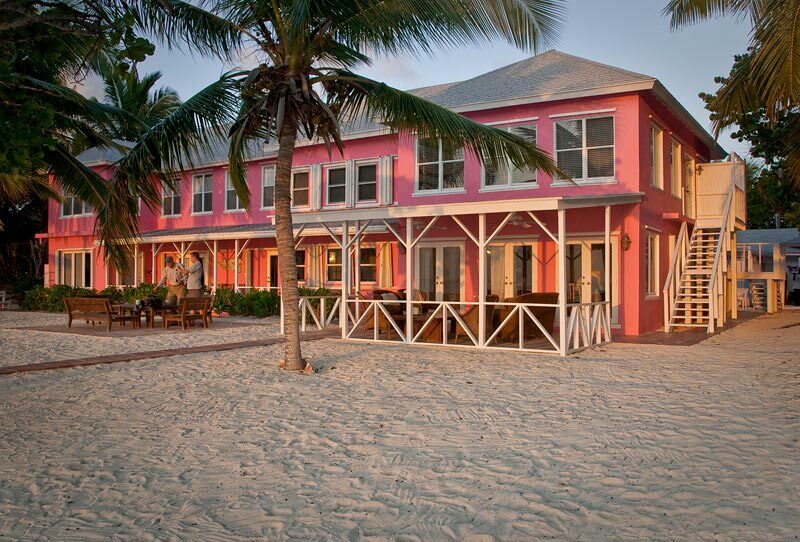 If you’re looking for the absolute best Bahamas experience available, you’ve found it. 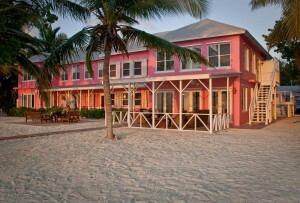 I can honestly say that Abaco lodge is the best fishing lodge I’ve ever visited. On every count it exceeds expectations. The facility itself is ridiculously nice. Huge single occupancy rooms with big plush beds and fine linens. Luxurious baths with every amenity. Doors that open onto decks overlooking the water. A beautiful pool and fire pit, large covered communal deck with a superb bar. The whole place shines like a new penny, including the sweet new Mavric skiffs. Best of all, it offers access to the most diverse and productive fisheries in the Bahamas. 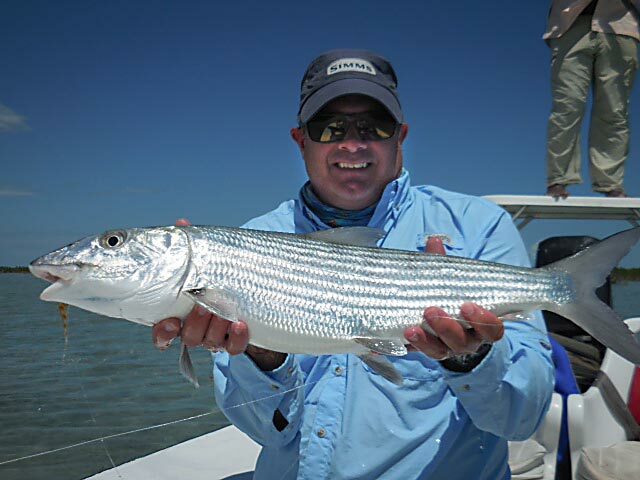 Anglers can expect great size and numbers of bonefish. If you put in the time you can also get quality shots at permit and tarpon. Abaco offers a legitimate chance at the grand slam. All lodging is single occupancy and the amenities are on par with any luxury hotel. Fabulous meals and a well stocked bar are included. The lodge has it’s own fly shop and a selection of fine cigars. The skiffs can be easily trailered to any part of the island, eliminating long painful boat rides. It’s an amazing 4-day, 5-night trip. 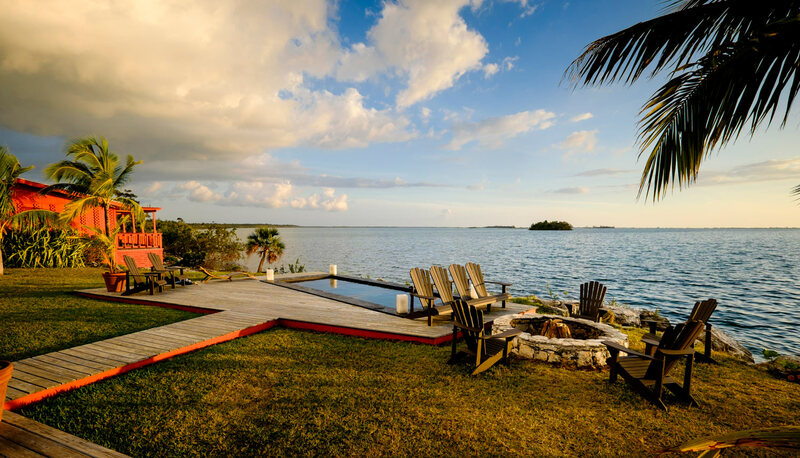 Travel to Abaco is easy, with some major airlines offering direct flights to Marsh Harbor from the US, and the lodge only 10 minutes from the airport. Half days of fishing are possible on arrival and departure days, if your flight schedule allows. I hope you will be able to join me and the other fans of Gink and Gasoline on this amazing trip. Don’t hesitate to email me if you’d like more detailed information about any aspect of the hosted trip program. I’m happy to help in any way. If you’re not sure how hosted trips work, follow this link to learn all of the details. Drop me a line at hookups@ginkandgasoline.com to reserve you spot. 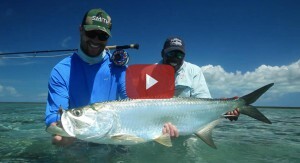 Check out this video of Shane Maybush catching a beautiful Abaco tarpon! How Do Hosted Fishing Trips Work And Is It Right For Me? I promise you, this is not going to be a sales pitch but a full disclosure. A good friend of mine suggested I write this. A good friend who, as it happens, I met on a hosted fishing trip. It’s funny how that works. As I think about it now, there are a whole lot of folks, who I call good friends, who I met on hosted fishing trips. Guys who have turned out to be life long friends and fishing buddies. Some of them are now contributors to G&G. Tim Harris and Johnny Spillane for example. And friends like Scott McKenzie, who I talk to almost every day. Scott gets a good one! Before I ever went on one of these trips, I had a very different idea about what they were. 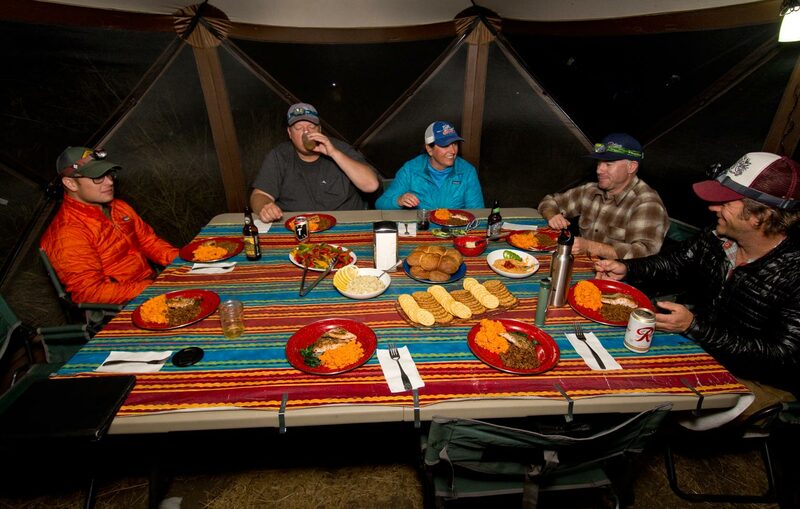 Many of these trips are based around fishing lodges and, like a lot of guys, I thought of lodges as being stuffy, elitist deals where I would have nothing in common with anyone. And I still think lodge fishing can work out that way a lot of times. What I didn’t get at first is that the hosted trips are a way around that. A way to insure that you connect with the guys you’re fishing with. I learned to host trips from my buddy Bruce Chard. 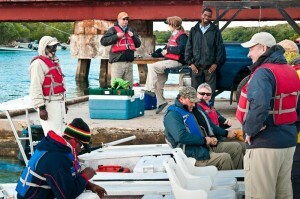 Bruce does a great job and I started going along with him to co-host trips in the Bahamas. I don’t know if I was much help at first but it was sure a lot of fun. It always seemed to be such a great crowd. Finally it struck me. The reason the groups of guys who came on those trips were so awesome is because Bruce was awesome, and they were all guys who loved to fish with Bruce. 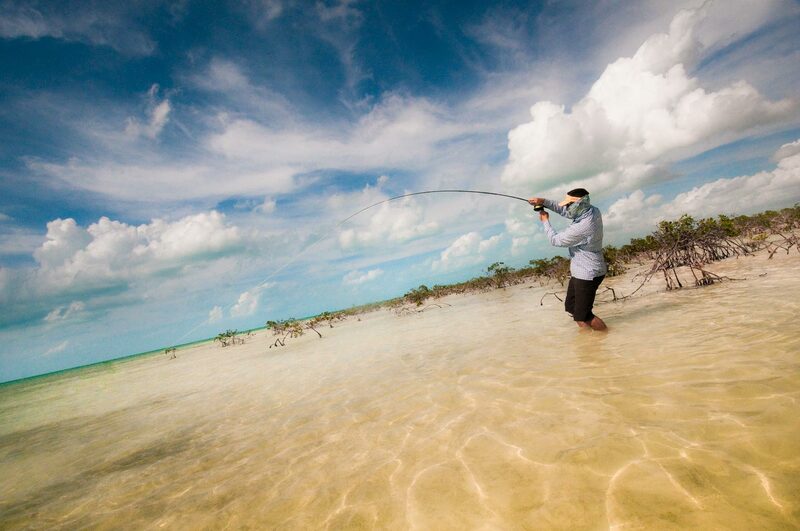 There were guys still coming on Bruce’s bonefish school for ten years running. The host is there to teach, but these guys weren’t there because they had anything left to learn about bonefishing but because they had all become great friends. 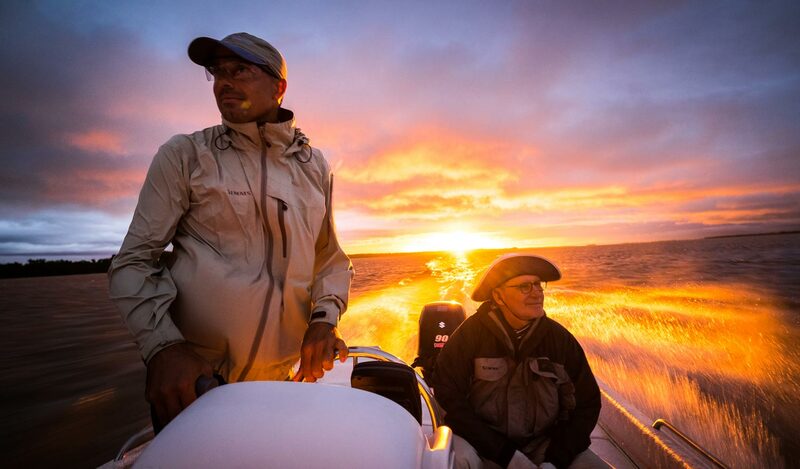 Imagine that you have ten fishing buddies who have the same interests as you and they are willing to go on any epic fishing adventure you can think up. That’s kind of what it’s like and after a while, that’s kind of what it is. 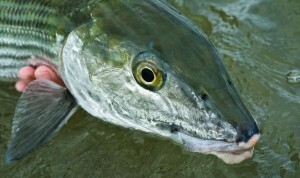 In a couple of weeks I’ll be joining a group of guys for a week of tarpon fishing. One of the guys has a home in Florida and has generously offered to host the group. It’s not a hosted trip, but that’s how we all met. Their really isn’t a catch. The fishing lodge business is tough and the lodge sees value in me exposing new folks to their service. They pay me a small commission. Usually enough to cover my tips and air fare. I help the lodge staff make everyone’s trip as good as possible. Happy clients means return business. Basically, I sing for my supper, which is how I manage to do a lot of awesome fishing. G&G sponsors donate gear because they see value in the G&G community. The way I make it work financially is to take photos, which I sell to folks like Simms and Orvis. It’s complicated but I eventually make a modest living. So why should you come on one of these trips? Again, not a sales pitch. • I do a lot of the leg work for you. Before I ever host a trip anywhere I get to know the operation and the fishery. I don’t want to take a group of guys somewhere that turns out to be shady or have marginal fishing. I get to know the guides so I can match them to the right anglers. Destinations don’t always work out. That means I make the mistakes so that you don’t have to. I’m there when you’re packing or buying flies or booking flights to help you make it a great trip. • I bring travel experience to the table. In the process of putting these trips together I have learned a few things. 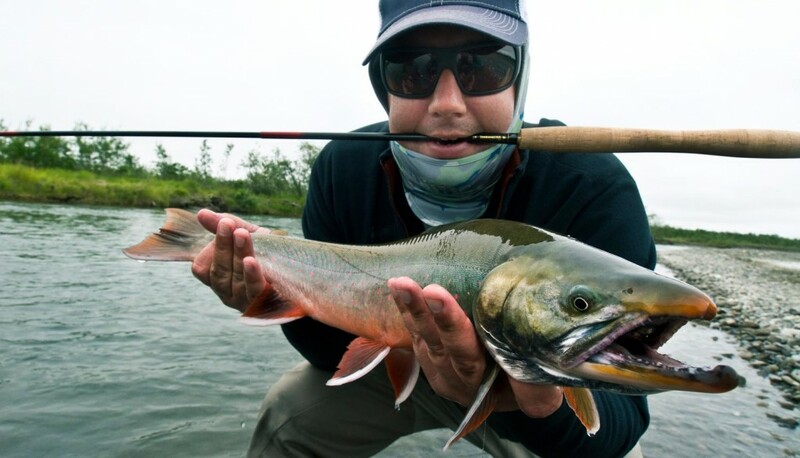 Like, you can’t carry a fly rod or reel onto an airplane in Argentina. Or when your bags don’t show up at the airport in Nassau, you need to call someone on the island to go sit with them while another plane goes to get them because the airport closes after the plane leaves and your bags are sitting out front unattended. • I help you become a better angler. I’m not trying to play the expert. I have some skills and experience and I’m happy to share them. 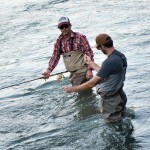 I like teaching people to fly fish. I get folks involved who feel the same way. We learn from each other. On our last trip to the Bahamas the best casting clinic we had all week came from my buddy Michael White. It was one of those moments that just clicked for everyone. It was awesome! Andy Bowen’s first day spey casting! • G&G attracts the right people. For me this is the whole point. I know too many guys who have had miserable trips because the group they ended up with sucked for one reason or another. When Kent and I started G&G the word that kept coming up was community. We wanted to create a place for a community of like minded anglers. We had no idea how many of you there were, out there looking for the same thing. That’s been the big payoff for me. Getting to meet and fish with that community. That has been amazing for everyone. Ok here’s the sales pitch! I’m not very good at making sales pitches so I’m just going to share an email I got this morning from John Hamilton, who joined me on the last bonefish school in the Bahamas.